AMD’s new range of processors, the Ryzen series, look like they'll be coming out very soon, and we’ve now got a good idea of the motherboards that will be releasing alongside the CPUs. The Videocardz website has revealed a huge gallery of upcoming motherboards from a range of manufacturers, such as ASRock, Asus and Gigabyte. 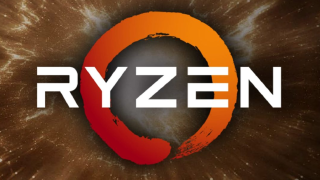 The Ryzen series of CPUs comes in five chipsets: the X370 and X300 chipsets (for enthusiasts and gamers who value power and top-of-the-range features above all else), the B350 (for mainstream users, so balances power and value for money), the A320 (for more simple, plug and play PCs), and the A300 (for small form factor PCs such as Home Theater PCs). All chipsets are well represented with the motherboards revealed by Videocardz – check out the gallery below for the photos and specs of all the Ryzen motherboards we know about so far. Intel vs AMD: which chipmaker does processors better?